I came across this idea that you can know what you want by first figuring out who you want to be. True goals, what I think of as ‘north-star goals’, have a way of changing you. You need to push yourself past your comfort zone, do the things you fear, wrestle with the Resistance, acquire new skills, reach out to new people. You grow towards becoming the kind of person who achieved that north-star goal. So achievement and transformation walk hand-in-hand. You don’t know who you are until you know what you can do. And you don’t know what you can do until you encounter the material, the people, the knowledge that you need to do it; until you put in the work required. And whether or not you succeed in the traditional sense, that process of putting a dream into motion is going to force you to grow. So I took this idea and applied it to my writing. I’ve been working on a novel for what seems like forever: it is ambitious and complicated and involves an intricate backstory and a fair amount of research into everything from dance choreography to multiple personality disorder (actually known, now, as dissociative identity disorder) to reincarnation to atheism to male sexuality. I want it to be a compelling, fun, easy read — that is still rich and multilayered and gets under your skin and lingers with you afterward. So naturally I found ways to avoid working on it. The book challenges me, frustrates me, and sometimes makes me feel inadequate: why not just go to the movies instead? What I’ve finally learned to do is accept my own so-called inadequacy: so what if I’m not quite sure how to write this goddamn novel? I will learn as I go along. I found a workshop with an excellent writing coach who gives me great feedback; I look to the novels that inspire me and take from them what I can. I know, now, that I will finish this book, and I think it’s going to be pretty good (if I dare say so myself). I will transform from someone who couldn’t write this book…into someone who went ahead and wrote it. And I’ll be a much better, deeper writer for it. I understand, now, why I felt the call – that deep inner longing, that drive, you know what I mean – to do this novel. It was what I needed to write in order to become the writer (and person) that I want to be. Here’s someone else that I want to be: not ‘just’ a writer (although I think that a very fine thing in and of itself), but a writer/creative entrepreneur. The first time I admitted this to myself, I could hear my own inner laughter. It seemed, for someone like me, an utterly ridiculous notion. But these longings, these urges, come from somewhere: they are the breadcrumbs that lead us down the path to our own identity. So I signed up for a female-entrepreneurship program that is long enough and expensive enough to force me to take the investment (and thus my own ambition, half-baked and vague as it may be) seriously, and puts me into contact with a community of impressive, entrepreneurial-minded women who will influence me in all sorts of delightful ways. The more actions I take toward realizing my ambition, the less ridiculous that ambition starts to seem. Hugh MacLeod, in his great new book EVIL PLANS, tells a metaphor about a white pebble that is apparently found in the bible (the metaphor, I mean, not the pebble). The spirit says to the congregations: To him that conquers I will give…a white pebble, and upon the pebble a new name written which no one knows except the one receiving it. I choose to interpret God (or Goddess) as creative energy, creative intelligence. In the fulfillment of our own individual creativity is the manifestation of our identity, and the sense of deep peace, that one-with-the-world kind of feeling, that it brings. It is why material things alone don’t make us happy. It is not enough just to meet our physical needs, or even to go above and beyond them and wallow in shallow hedonistic luxury (fun as that is); we need to love, and we need to make something, build something, bring something into being, that is uniquely our own. That is how we learn who and what we truly are. We learn our third name. And until then, no one – no parent, no teacher, no colleague or spouse or boss or peer – no inner voice that we’ve internalized, no self-limiting belief we’ve mistaken for part of our actual identity – can dictate to us what that third name is, or could be, much less make us feel ashamed about it. Sad thing? Most people live and die without knowing that they had one. “we need to make something, build something, bring something into being, that is uniquely our own. It’s so nice that as a published author you aren’t afraid to admit that you needed help on this one. I guess there’s a tendency from the pre-breaking-in-to-the-biz side to assume that once you write one book, you can write a 1,000 more with ease. But the process is always the same no matter the level of success, and pushing through the frustration is usually more rewarding and higher quality than words that just splattered onto the page like vomit. Also, thanks for sharing that story about the pebble. I like finding ways to still incorporate things that were important to me in my previous incarnation as a seminary student into my new existence as a devout atheist. Thanks for this post. It is truly inspiring. I found myself reading this to distract me from working on a novel that I’m having a particularly hard time with right now. You’ve given me inspiration to put my nose to the grindstone and get to writing. Wow, you just gave me something to really think about today. Your message is great and your writing even better. I know what you mean about laughing at yourself for having this notion of living a creative life. I laughed the first time when my husband quit his job and the two of us became jugglers. I laughed at myself again when the creative me begged for more, this time as a writer. I wonder what my third name will be? Broke, perhaps. Thanks! Inspiring. It was as if you were talking about me…for me. For me writing is addictive. They say write about what you know. I beg to differ. Writing and researching and plotting, is all a new experience we should embrace. If we stay within our comfort zone…then we don’t grow. Thank you for these words. I am saving this post right now. Just knowing there is a third name…that opens the world of possibilities up entirely. 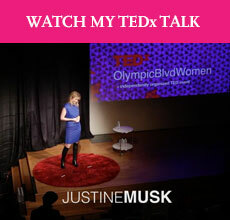 Justine — I wish I had been your age when I discovered that I could do things I hadn’t imagined I could do. Now surprising myself is my regular practice. Thank you for you putting yourself out there. The third name. I love it! My own worldview has shown me clearly that man is not a creator, in and of, himself. But how creative folks struggle with this concept! Why should writers have such a corner on angst? It might be that they try too hard to force their work onto the screen (page). This false fear of loss or lack of innate creativity drives so many scribes to alcoholism and drugs. We, as a group, seem to have more than our share of strugglers. What if we all took a big time-out and really quieted the constant white noise of the human mind? What if we finally gave up straining to hear our so-called muse? What if, after a mighty personal struggle, we finally, through great gnashing of teeth, dug down deep into the very core of our personhood and relinquished all personal sense, all fear of failure, all the negativity that comes from not knowing who God is and our relationship to Him, our very creative birthright? Ah, there’s the rub. We creatives are often so pumped up with ourselves that we would think it laughable to openly speak of such truths, for fear of being thought ridiculous or even worse. Creatives sometimes posit that God is a non-starter. That we are, or should be, somehow above all that old-school, guilt-ridden stuff. We creatives are prone to seek out new theosophy, rejecting what has come down through the spiritual revelation of the ancients. Those original thinkers who truly did know whom they were and from whom all blessings flow. Well, my fellow writers, it is high time to get back to basics. To learn what our “third name” is, to dredge open the silted-over thought processes that have not served us well, and to finally claim our original creative selfhood as the perfect (and fully-equipped thinkers) of our Creator’s eternal plan. “BE What You Wish To See!” It works! I read something today: “Life begins when you leave your comfort zone,” or something close to that. I think there’s a lot of truth in that. I think of the three selves as who we are, who we think we are and who we learn we are and it’s not until we’re faced with something to stretch ourselves that we realise what’s possible for us. Imagine if Mozart had been born in Africa and never got to see a piano. That kind of thing must happen all the time. >>> I understand, now, why I felt the call – that deep inner longing, that drive, you know what I mean – to write this book. It was the book I needed to write in order to become the kind of writer (and person) that I want to be. I love that Justine. So well said. It points to what I see as life’s divine obstacle course, the purpose of which is to help us ascend ladder of human development. To reach self-realization, then transcendence and ultimately, unity with all. We need only the courage to follow that deep inner longing. A good bit of writing skill goes a long way too. You seem to have plenty of each from where I sit. Hugh explains (the way a monk explained it to him), that “you have three selves: the person you think you are, the person other people think you are, and the person God thinks you are. The white pebble represents the third one. And of the three, it is by far the most important.” The white pebble is something that I thought entirely metaphorical…the idea that the omnus CREATIVE has made me a co-author in the history of the MONOMYTH fires me up. Thanks for kindling the muse. “You don’t know who you are until you know what you can do. A number of times in the past, I have questioned, and even doubted, the pursuit of teaching the art of writing. I agreed with the idea that one can instruct technique, but argued a position that one cannot train another to be enlightened, and consequently, improve the student’s content. Having just read your last two posts, I take back those assumptions. You have peeled away the layers of human psyche to the core of where we all begin, and you are lighting our paths as you define your own. To be frank, I was not proud of my earlier comments, though I believed them. I realized, even as I hit SUBMIT, that I was telling a teacher she is limited as to what she can teach. Those statements were not constructive, and as I see now, unjustified. I apologize. I think you’re brilliant, Justine. If anyone can open the doors of perception, you can. Very nice post. There is power in doing and you never know what’s possible until you start taking action.